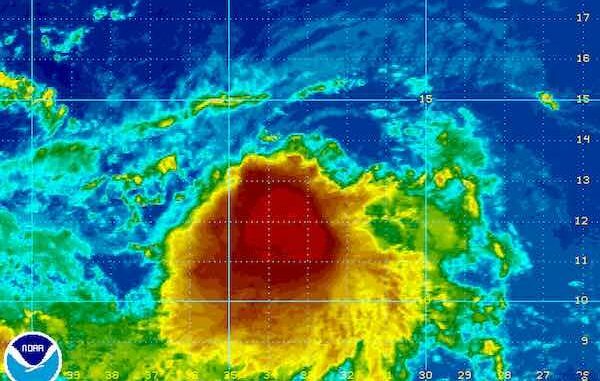 SEBASTIAN – Tropical Storm Lee has formed in the Atlantic Ocean as it moves westward, according to the National Hurricane Center. The good news for the people in Florida is that Tropical Storm Lee is expected to weaken within the next five days. “The NHC intensity forecast is close to the intensity consensus and HCCA, and Lee may ultimately degenerate into a remnant low by day 5,” the National Hurricane Center stated. The storm is expected to move generally westward or west-northwestward for the entire forecast period. The busy tropics are ideal for surfers at the Sebastian Inlet who have enjoyed the waves brought on by Jose. There is nothing in the forecast that threatens Sebastian or Vero Beach.